Join the Mosquito Squad team and make your living helping residential, commercial and special events customers enjoy their outdoor spaces again. Grow your new business in the explosive outdoor living category. If you are looking for a thriving add-on or full-time business, with a strong recurring revenue stream, Mosquito Squad is the answer. We're proud to be one of America's fastest growing franchise concepts and the clear leader in the outdoor pest control space. 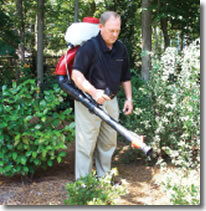 Our focus is the elimination of unwanted outdoor pests such as mosquitoes and ticks. You can make your community more enjoyable and a safer environment. Multiple Revenue Streams – There are three different revenue opportunities available as a franchise owner: our Barrier Spray Program, Automatic Misting Systems and Special Event Treatments. Each one has a different price point allowing you to appeal to all homeowners and businesses in need of an outdoor pest management solution. Multiple Solutions for our Clients – There are multiple choices to offer to our clients including both EPA registered pest control solutions and all-natural solutions for our clients seeking an organic or green approach. Low Initial Investment – Total start-up capital of $37,100 to $54,625, which includes the initial franchise fee for an exclusive territory. For qualified parties, up to half of the franchise fee may be financed. Residual Income Growth Each Year – A key advantage is the ongoing revenue stream from repeat barrier sprays and the refills of automatic misting systems. 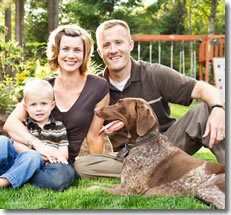 This "annuity" dramatically increases revenue and profits once a customer base is established. You provide a valuable service and unbeatable convenience for your customers while assuring yourself a continuing revenue stream. Quick Start-Up – In most cases you can hit the ground running within 30 days. Experienced Support Staff – As with all Outdoor Living Brands franchise concepts, you can count on unparalleled support from a passionate, highly attentive professional support staff – in all the key disciplines you'll need. Their proven, well-respected track record of lead generation and marketing success brings extensive customer acquisition, sales and support skills, and technical knowledge to new franchise owners. In addition, you'll receive referrals from our sister brands. Marketing Knowledge and Franchisor Led Initiatives – Data about customer mindset and demographics and effective marketing tools is part of the system. Exceptional distinctive branding and franchisor led initiatives such as public relations and social media strategies are a key part of the Mosquito Squad offering. Extensive Marketing Tool Kit – From business cards, brochures, ads and direct mail, Mosquito Squad has created impactful marketing materials to kick your business into high gear. And if a customized communication needs to be created, our in-house marketing team will get the job done. ND, SD, HI, AK, MD, FL, TX and CA or from outside the United States. Click on Request Information for FREE info on how to open a Mosquito Squad franchise today! Please Note: This Mosquito Squad franchise opportunity and other franchise business opportunities, businesses and franchises for sale on this web site are not to be considered as an "offering", "franchise offering", suggestion or recommendation by Franchise Leader™. This advertisement depends entirely on the truthfulness of the information provided by our advertisers which includes, but is not limited to, franchisers, franchise brokers, franchise consultants and business brokers. Franchise Leader™ recommends that you consult a lawyer, financial consultant, accountant or professional advisor before buying a franchise or business opportunity or any type of business. By using this form or any part of our website, you have agreed to all terms and conditions of Franchise Leader™. Please review our Terms & Conditions for more information.